I know this might be shocking to you, but I’m not a fashion expert. I’m lucky if I can find two matching socks to wear. Most of the time I give up and don’t. However, it looks like the rest of the tech world is looking to up its fashion game, namely Apple and Amazon . In this year’s September Issue of Vogue, both companies put their best foot forward among fashion icons like Vera Wang, Calvin Klein, Louis Vuitton, Kate Spade and Giorgio Armani. 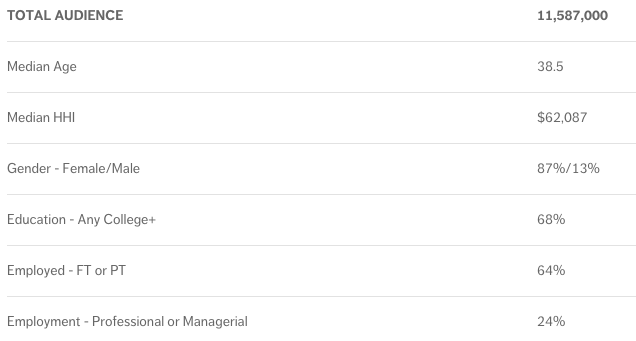 Fashion Week is coming up and these companies want these specific eyeballs. Luckily, my fiancée April and I took a long plane ride so she had time to fill me in on why this is interesting. Apparently, this specific issue of Vogue is commonly referred to as “The Bible.” All of the big upcoming trends are featured there. It’s 832 pages of ads (and some content, of course). There’s even a documentary about the making of September issues. It’s not the first time that tech companies took to this issue, with Google turning the trick in 2013 to promote Glass. It felt really forced, though. And it clearly was, since Glass is now being worn by doctors and not models (or aspiring models). As April went through the magazine on the plane she pointed out tech references left and right. Apple Watch! Amazon Fashion! (whatever that is) Apple Music! Even Star Wars gets a nod. That’s a lot of geekiness for a crowd that appreciates proper eyeliner and a $200 pair of jeans. When Apple acquired Beats, it was about a few things: tech, Dr. Dre, the powerful lifestyle brand, Dr. Dre, and Dr. Dre. Beats is cool. It carries cache. It’s the kind of cache that doesn’t look like an out-of-place Google Glass spread in Vogue. It fits. An Apple Watch is a fashion statement rather than a tech gadget. I mean, that’s why Apple has an absurdly priced version of the device…just so it could hang with the Vogue crowd. It’s basically a requirement. As far as Amazon goes, I have no clue what “Amazon Fashion” really is. They don’t have their own line of clothes or any interesting spokespeople, but I guess it’s something they’re trying to ramp up, especially since they have a new London photo studio to impress folks with shots of clothing. 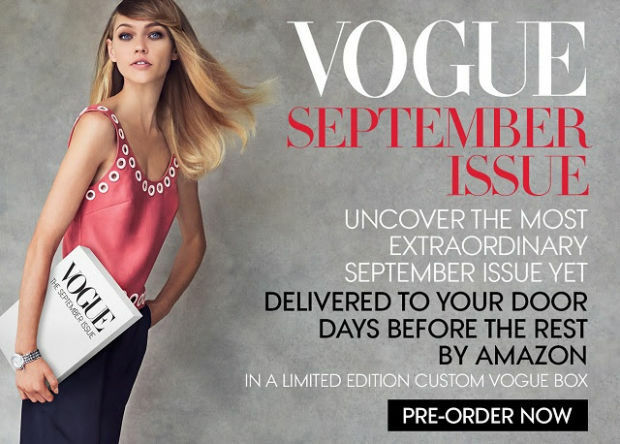 I mean, if you wanted to pre-order the massive Vogue Ads issue you could do so…on Amazon. So they’re clearly all in on this fashion game. The fashion world and tech are on a collision course and it’s not just because of wearables. It’s the lifestyle, the coolness and a race to see who can take geek to chic the fastest. Now excuse me, I’m going to resume my search for matching socks.